Don't those look yummy??!! I have to tell you, they are DElicious!! 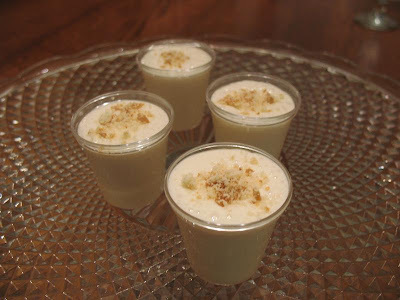 I posted the recipe for these Vanilla Cheesecake Shots as my first official Contributor post over at Pennies and Blessings. I hope you'll stop over there and let me know what you think of the recipe (an easy one that you could add in to your Easter menu). While you're there, look around - I know you'll love what Pennies and Blessings has to offer! Have a wonderful day and a blessed Resurrection Day friends! Congrats - I'm headed over there now.